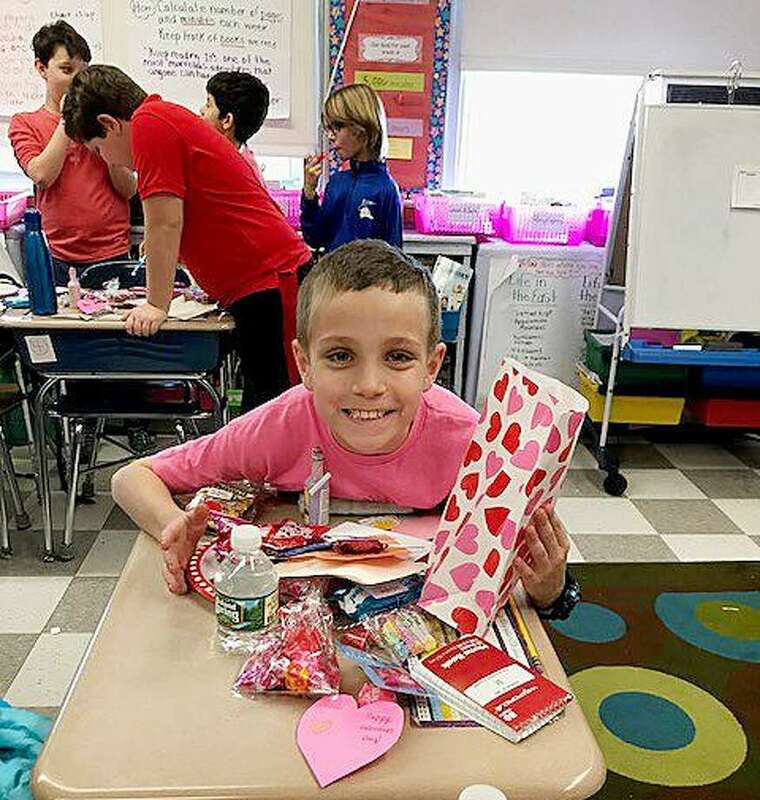 Devon Tianis fourth-grade class at Royle Elementary School celebrates Valentines Day by wearing their favorite Valentine color and exchanging special treats. The Darien High School Jazz Ensemble placed third in their division at the Berklee College of Music Jazz Festival in Boston Feb. 10. The Jazz Ensemble has upcoming performances at the Darien Jazz Jamboree March 2, the Norwalk Jazz Festival March 9, the King Jazz Festival in Stamford March 11 and the Greenwich Ellington Jazz Festival March 24. Two Darien natives been named to the president’s list at Clemson University for the fall semester. To be named to the president’s list, a student must achieve a 4.0 (all As) GPA. Kaleigh T. Conway is majoring in biological sciences and Julia Rose Domiziano is majoring in elementary education. Three other Darienites were named to Clemson’s dean’s list, having achieved GPAs between 3.50 and 3.99. Alexander Locke Cohen is majoring in pre-business, Tyler Costantino is majoring in financial management and Courtney E. Costantino is majoring in marketing. Darien’s Burke Blatney, a member of the class of 2020, was named to the dean’s list at Bucknell University during the fall semester. A student must earn a grade point average of 3.5 or higher on a scale of 4.0 to receive dean’s list recognition. Alison McGarey, of Darien, has earned a Bachelor of Science in industrial engineering from the Georgia Institute of Technology in Atlanta in December. Kristin McClutchy, owner of Pure Barre Darien. The YWCA Darien/Norwalk is accepting nominations for the 2018 Women of Distinction awards. Nominations are sought for women who epitomize leadership and have used their skills to make the community a better place to live. Local residents and business owners are nominated by people who have recognized an impact from their unique contributions that have made a difference in the Darien and Norwalk communities. The areas of excellence they are looking for are Racial Justice and Civil Rights, Empowerment & Economic Advancement in Women and Girls and Health & Safety of Women and Girls. Details about each practice area can be found atywcadn.org. The YWCA Darien/Norwalk Women of Distinction Nominations Committee reviews the nominations and selects the honorees. The honorees will include five Women of Distinction and a Young Woman of Distinction 21 or younger. Candidates under 21 may nominate themselves, and the winner will receive a scholarship of $1,000. The women chosen to receive the Women of Distinction awards will be honored at the YWCA’s annual Women of Distinction Awards and Luncheon on May 10 at the Woodway Country Club in Darien. For information and nomination forms, go to ywcadn.org; submission deadline is March 2. Ever wanted to own an exotic pet but don’t have the space or time to care for it? The Darien Nature Center is offering sponsorship opportunities for eight of its resident animals: Einstein the bunny, Shelley the turtle, Sydney the bearded dragon, Paz the white dove, Ethel the prairie dog, Hectora the iguana, Flinch the hedgehog and Luna the owl. The sponsor is invited to come in for one-on-one time with their animal. There are four sponsorship levels available. You can complete a sponsorship atdariennaturecenter.org/donate. For further information, contact Administrative Affairs Manager Leah Salomoni at 203-655-7459. The history of the American flag is as varied and fascinating as the republic it represents and an exhibit at the Darien Historical Society, “Long May She Wave: The Evolution of Our Flag,” which opened Jan. 18, tells the story of the flag in all its red, white and blue glory. In addition to several antique flags, the exhibit will include a timeline that traces the evolution of the nation’s banner through both local and national events. Spanning from pre-colonial days to the year 1960, when the 50th star was officially added, the exhibit will feature photographs, a soundtrack with music and voices from the past, and a lecture series on subjects relating to the flag’s history. An interactive portion will challenge viewers to design a 51-star flag and also to write in a journal about a time when the flag stirred a strong emotion. The “Long May She Wave” exhibit will run through March 13 and can be viewed during the Society’s open hours and during lectures. The exhibit is free for members, Darien’s first responders, teachers and students. The cost for non-members will be $5. Exhibit sponsors include M3 Messenger and Christie’s Quilting Boutique of Norwalk. “The Lincoln Flag — Rediscovered” will be held March 4 at 3 p.m. After 76 years in a cluttered storage area, the flag that decorated Lincoln’s box at Ford’s Theater was rediscovered. Hear the fascinating story with Ilene Frank, chief curator at the Connecticut Historical Society. To register, visit darienhistorical.org or call 203-655-9233. The cost for the lectures will be $5 for members, $20 for non-members and $30 for non-members and a guest. Students attend free.